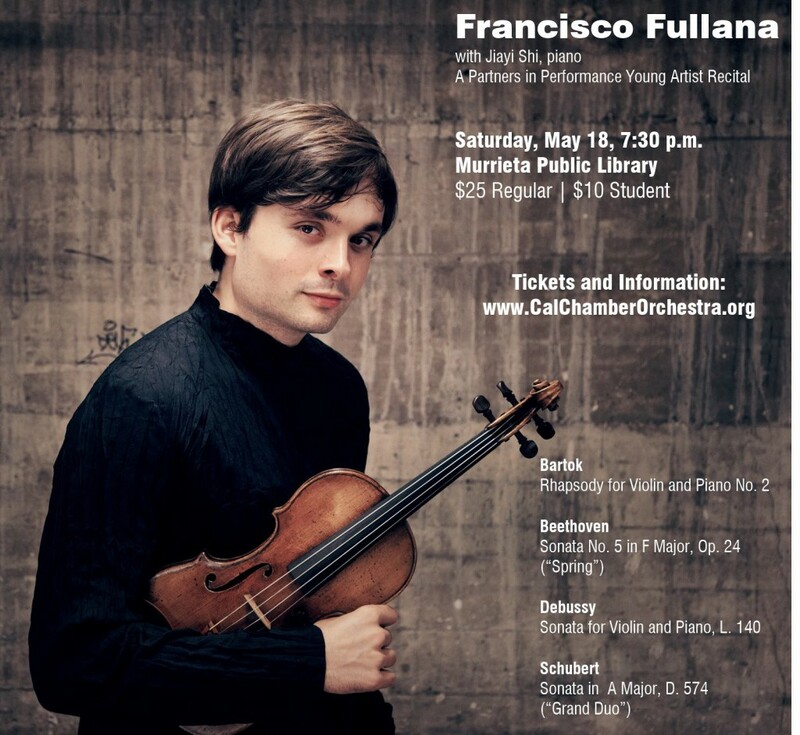 Spanish violinist Francisco Fullana, winner of the 2018 Avery Fisher Career Grant, has received international praise as a “rising star” (BBC Music Magazine), an “amazing talent” (maestro Gustavo Dudamel) and “a paragon of delicacy” (San Francisco’s Classical Voice). His playing has been described as “explosive” (Gramophone), “electric and virtuosic” (The Strad). The California Chamber Orchestra is honored to host this special recital made possible by Partners in Performance (PiP). Midori founded PiP to stimulate local interest in chamber music in smaller communities.